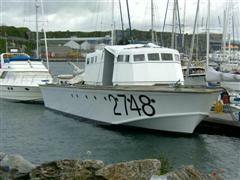 RTTL 2748 has been under restoration in the Plymouth area for several years. I talked to a friend the other day who tells that she is now back in the water next to Mount Batten across the water from the Barbican. I am down next weekend so I will try to take some pictures. RTTL 2751 is under restoration in Shoreham. See elsewhere on the forum. Would appreciate any further info. Will watch on the form. I have just received confirmation that RTTL 2748 is moored at a pontoon adjacent to Mountbatten. She is reported as being a hull only but beautifully finished and at the moment without the superstructure. I am awaiting photo's and additional information as a friend owns the adjoining boatyard and will follow up for me. I've been to Mountbatten 2 weeks ago and 2748 now has her superstructure fitted. Couldnt take any photos at the time - sorry. I'm down Plymouth way in the next week so will take some and post them for those who are interested. PS - Last weekend I was walking at Start Point on Sunday afternoon and a later steel ex RAF RTTL steamed by heading towards Salcombe. Anybody know which one? I see Spitfire appears to have been sold now, was it her? By sheer coincidence I was at Mt Batten on the 9th of Sept.When Itook these. If anyone is interested in Sabre I will be posting a few pictures not seen before after her collision. yes I reckon Barry's finger slipped as the pic definately shows 2751. 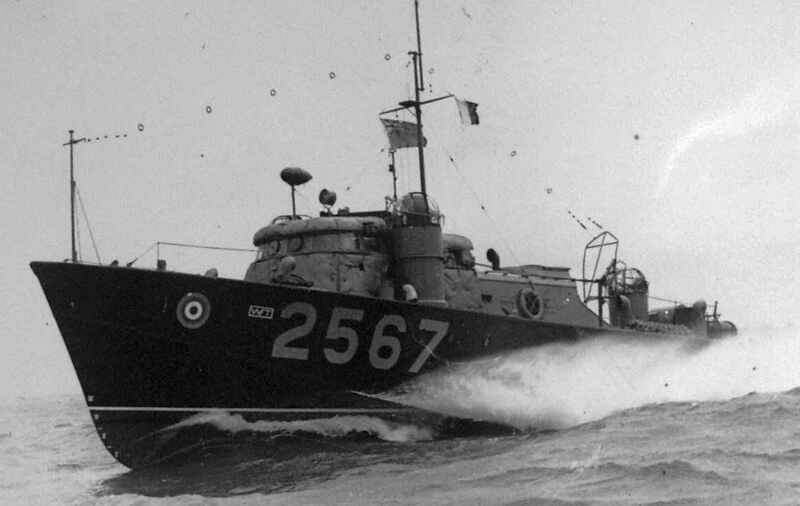 Just as an aside 2571 was also a Vosper but a wartime 73 footer. !5 were built using a shortened 'Fairmile' D type hull. 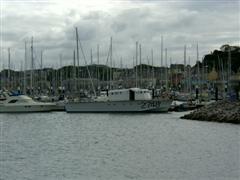 These were the only boats Vosper suppiled to the RAF during the conflict. All were disposed of in 1946 and nothing is known of their fate or subsequent history. Photo of one of the class attached.